Facebook is one nice social networking platform that guarantee its users their privacy. 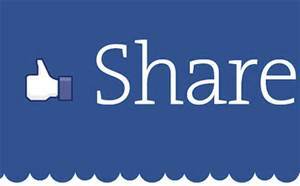 This is seen by the way Facebook handles your posts which is re-shared by others. Thus we want you to understand how Facebook handle such re-shares. When you share a post on your Facebook account, Facebook will always take note of the people you specify that should see the post, this means that if you share a post to only your Facebook Friends, then only your Facebook friends will see that post even if the post is re-shared by any of your friends. For example, lets say you post a status on your Facebook account saying that you went for a walk with you puppy, and then you uploaded a selfies along with the post. And in the Audience selector, you specify that only your Facebook friends should see the post, Facebook will keep it that way. So if one of your friend (lets say your friend’s name is Shaw) Shaw saw the post and decide to share that your post in his timeline, then only the mutual friends you both have will be able to see that your post about the walk you have with your puppy in Shaw’s timeline. This also means that if you and Shaw does not have any mutual friend, then Shaw re-sharing the post might be termed as useless because Facebook will make sure that non of Shaw’s friend who are not your friend will see the post. Note that this applies also to your photos, videos and status updates but not to links you post on Facebook.